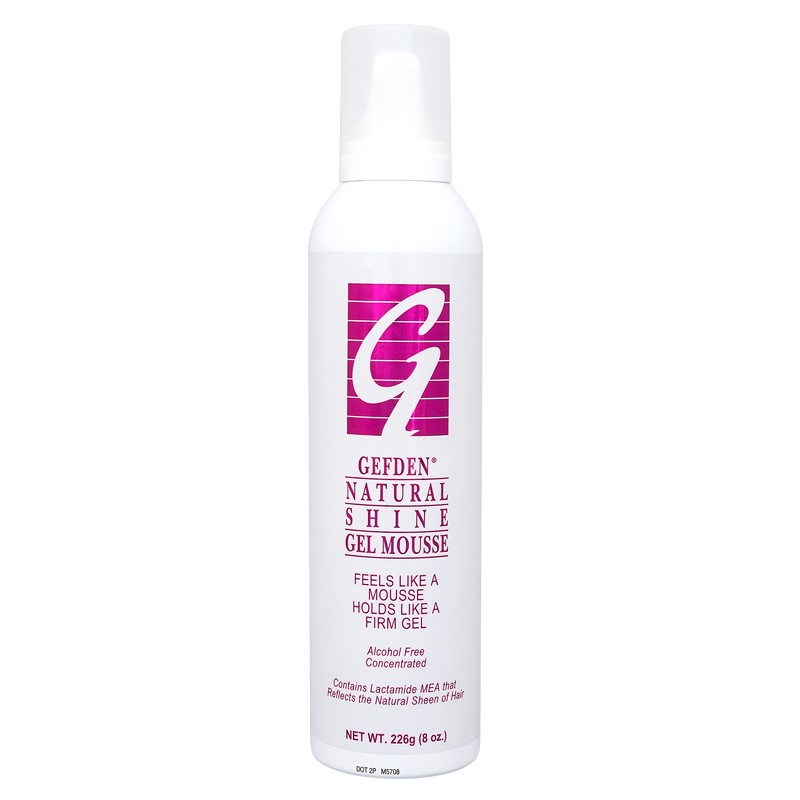 GEFDEN shines your hair while you style it. 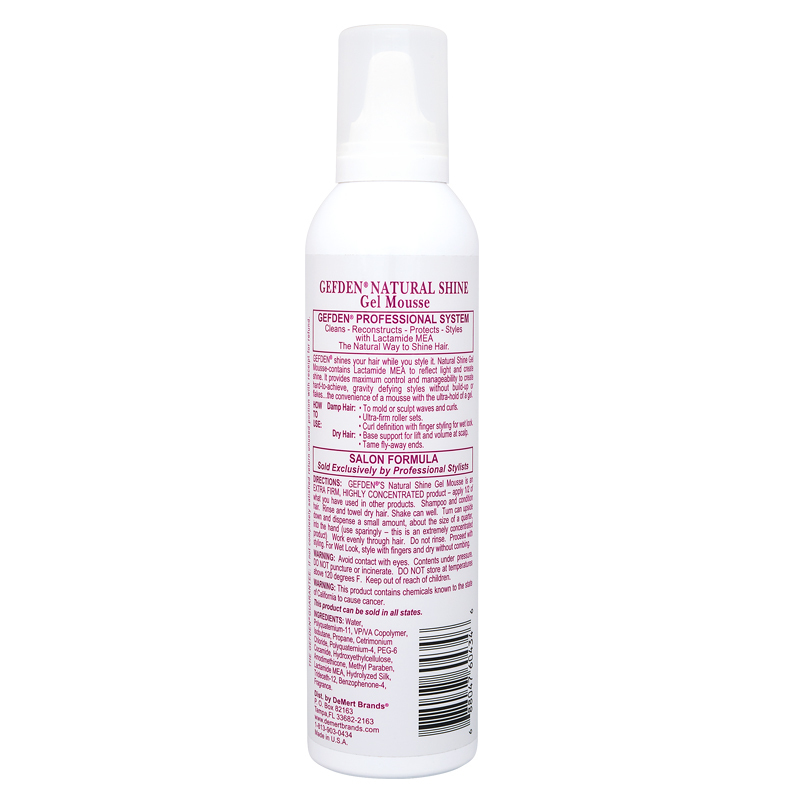 Natural Shine Gel Mousse contains Lactamide MEA to reflect light and create shine. It provides defying-styles without buildup or flakes… the convenience of a mousse with the ultra-hold of a gel. 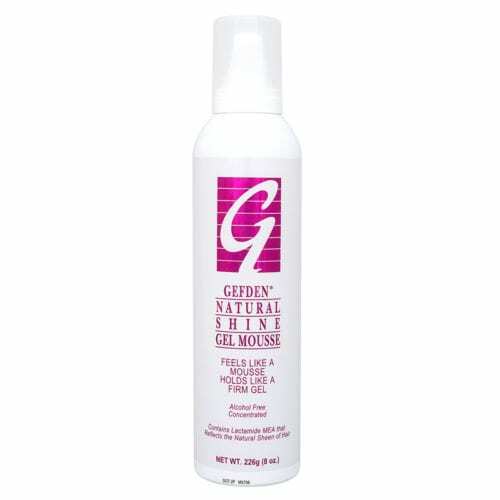 Directions: GEFDEN’S Natural Shine Gel Mousse is an EXTRA-FIRM, HIGHLY CONCENTRATED product – apply 1/2 of what you have used in other products. Shampoo and condition hair. Rinse and towel dry hair. Shake can well. Turn can upside down and dispense small amount, about the size of a quarter, into the hand (use sparingly – thus us an extremely concentrated product). Work evenly through the hair. DO not rinse. Proceed with styling. For wet look, style with fingers and dry without combing. Warning: Caution: Contents under pressure. DO NOT PUNCTURE OR INCINERATE. Do not use or store near heat, sparks, open flames, red hot surfaces or other sources of ignition, in direct sunlight or where temperature will exceed 120 F. Injurious if sprayed in eyes. In case of eye contact, flush with water. Consult a physician if injury persists. Use only as directed. Intentional misuse by deliberately concentrating and inhaling the contents can be harmful or fatal. KEEP OUT OF REACH OF CHILDREN.